Despite the claims of the Maoist ruling elite of a complete break with feudal ways, Leys illustrates that the finely graded hierarchies of Maoist officialdom inherited and preserved the earlier bureaucratic structures of privilege. The second part of the article describes the fate of the Marxist intellectual Wang Shih-wei, who dared, in 1942, to criticise the hierarchical structure of the nascent Maoist bureaucracy - some years before it seized state power. He was silenced, persecuted and eventually murdered for his brave criticisms. Simon Leys is the pen-name of Pierre Ryckmans; he has written extensively on the history, culture and politics of China. From; Chinese Shadows, Simon Leys; Penguin Books, London, 1978. As the day is divided into ten periods, so men are apportioned into ten classes, in such a way that the inferiors serve the superiors, while the latter serve the gods. In that manner, the king gives orders to dukes, the dukes to high officers, high officers to gentlemen, gentlemen to lictors, lictors to intendants, intendants to majordomos, majordomos to servants, servants to footmen, footmen to grooms. There are also stableboys to look after the horses, and herdsmen to care for the cattle, so that all functions are filled. In the sixth century B.C., at the time the Tso Chuan refers to, China's social hierarchy had only ten degrees. We have progressed since then: the Maoist bureaucracy today has thirty hierarchical classes, each with specific privileges and prerogatives. Its scrupulous care, nay obsession, for protocol is a permanent cause of wonderment for Western diplomats in Peking, just as the lack of formality in the embassies of some new nations (where quite often a Third Secretary will call the Ambassador by his Christian name) has the Chinese mandarins flabbergasted. In all their contacts with foreigners, the Maoist civil servants insist on being given the exact titles, functions, and positions of each person, so as to be able to gauge precisely the length of red carpet each should have: any uncertaintv about this makes them uneasy to the point of anxiety. In fact, they only want to apply to others the precise and rigid classifications that rule their own official life and give it such splendid orderliness. Nothing, no futile detail is left to chance: the place of an official photograph in the newspaper, its size, the presence (or absence) of important persons in it, the order in which the names of leaders are given - all have meaning, all are organized more formally than any Byzantine ritual. To avoid mixing sheep and goats is another obsession, and no sacrifice is too great to keep the classes, castes, and hierarchies strictly separate. For instance, in Peking's diplomatic ghetto, it would have been very easy to organize one big cafeteria for everybody, but not only are the Chinese kept apart from the foreigners (of course!) but for the Chinese there are two different cafeterias, one for the intellectual aristocracy of employees and interpreters, one for the lower classes (drivers, sweepers, and other domestics). The original purpose of the so-called May seventh schools was to allow bureaucrats to be periodically in touch with workers and peasants. In practice, nothing of the kind occurs: one cadre, when I asked him whether he lived with the farmers during the periods when he worked in the fields, was quite shocked by my question. One should know that since the May seventh schools have been institutionalized,' they have become bureaucratic islands in their rural environments. Their inmates plant cabbages and feed pigs, granted, but they do it with other bureaucrats, on the school grounds. Do they get any chance to learn about the life of the peasants? Of course! Once or twice a week some farmer comes and gives them a talk, and tells them how Chairman Mao and the party have changed his existence out of all recognition. Since all cars are official cars, the simple fact of sitting in the back seat of a limousine is equivalent to a laissez-passer. If you have to do business in a government building and you come on foot, you are sure to be stopped by a sentry, or a doorkeeper, or an usher with whom you will have to discuss your visit at length before being allowed to pass through the first gate. If you come bv car, on the other hand, the various watchdogs will swing the iron grille of the gate wide open as soon as they espy you from afar and you can zip through without even having to slow down. In professional bureaucratic life, not to use a car sometimes seems as indecent as dressing only in underwear. A young European diplomat in Peking, new in the job, a decent fellow if somewhat naive, thought it fitting in this proletarian-revolutionary capital to replace his car by a bicycle - as much as possible anyway. One day he had an important meeting at the Foreign Affairs Ministry; the interpreter-dragoman of the embassy caught him just as he was getting on his bike. "But Cultural Attache, Sir! What are you doing! You're not going to go to the Ministry on a bicycle, are you?" Our young friend had to admit sheepishly that such was his intention. The interpreter, on his own initiative, called for the embassy car, and under his stare our progressive attache had to climb meekly in. Thanks to the intervention of a Chinese employee, a shocking outrage to the Peking bureaucratic order was thus avoided. To ride in a car marks you as an official, but the model, color, and size will vary according to your importance. At the bottom levels, one finds Russian, Czech, and Chinese medium-size cars, cream-colored or gray; at the top, one has long black Hung-ch'i limousines, with tulle curtains that conceal the passengers from the crowds. Peking is thick with these capacious hearses; their blinded windows have an aura of august mystery, suggesting at the same time the Coach of the Holy Sacrament and the limousines that Arab sheiks shuttle their harems around in. One of the favorite pastimes of Peking people - they do not have many - is to crowd around the entrance of the Peking Hotel or near the Great Hall of the People on gala nights to see the long processions of official cars go past with drawn curtains. Those people, one feels, have no envy or bitterness - they have the experience of three thousand years of despotism - but only the normal curiosity of gapers who try to glimpse, however fleetingly, the faraway magical world where their mysterious rulers live. The Cultural Revolution has hypocritically masked some of the most obvious forms of class divisions, without changing their substance. In trains, for instance, first, second, and third classes have disappeared in name, but you have now "sitting hard" (ying tso), "sleeping hard" (ying wo), and "sleeping soft" (juan wo), which are exactly the same classes as before and with the fares, as before, ranging from single to triple prices. External insignia have nearly completely disappeared in the army; they have been replaced by a loose jacket with four pockets for officers, two pockets for privates. In this way, a colonel traveling first-class on the railway is now merely a four-pocket military man "sleeping soft" - with a two-pocket man respectfully carrying his suitcase. In cities one can still distinguish between four-pocket men in jeeps, four-pocket men in black limousines with curtains, and four-pocket men who have black limousines with curtains and a jeep in front. In addition to the visible signs of their hierarchical dignity (to which they cling tenaciously: their absence is immediately interpreted as a sign of disgrace), the mandarins also have material advantages meticulously doled out according to their level. Salary differentials are quite steep in all sectors (a young university lecturer begins at 50 Y a month, a full professor gets 340 Y; in a factory, the salary range may be from 35 to 210 Y), but they are most marked for government officials, whose monthly salaries range from 20 Y at the bottom to 728 Y at the top. But for those who rise in the hierarchy, the salary is of course only a minor consideration compared to all the other advantages deriving from more influence and power: the possibility of going abroad, of sending one's children to university, of finding comfortable jobs for relatives, of getting goods in times of scarcity, and so on, in short, all that the colloquial language sums up in the phrase "going through the back door" (tsou hou-men). From time to time those practices are severely repressed - the Cultural Revolution was one of those times - but bureaucratic nature quickly prevails and the situation normalizes. 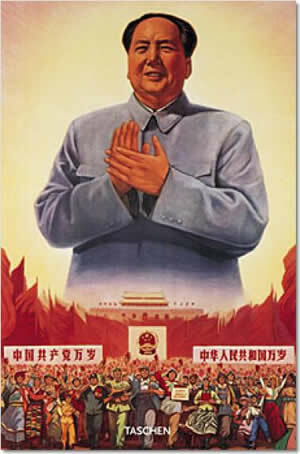 It must be said that examples come from on high: Chairman Mao's nepotism can be seen by all. What would Chiang Ch'ing be today, with her starlet demimondaine talents, if she had not become the wife of the Great Leader? 'The case of Wang Haijung, Mao's niece, is equally remarkable: after getting her diploma at the Institute of Foreign Languages in 1965, this inexperienced young woman entered the Ministry of Foreign Affairs (which, curiously enough, shares with the Institute of Foreign Languages a kind of aristocratic prestige) and became Chief of Protocol almost at once; barely thirty, she was propelled into the position of Assistant Minister! What about Mao Yuanhsin, the Chairman's nephew, who, not yet thirty, became vice-chairman of the Revolutionary Committee for Liaoning province in 1968, and shortly after was promoted Secretary of the Party Committee for that province. One can go on: there is Hsiao Li (Li na), Chiang Ch'ing's daughter, who at an early age filled an important post on the staff of the Liberation Army Daily; and many others who owe their brilliant careers to family influence. But why continue? Everyone knows it, and the practice shocks no one: Mao was only following an ancient tradition in government practice that has become solid as a law of nature. The meteoric rise of certain young people should not make one think that the regime trusts youth. On the contrary: promotion in principle goes by seniority. Given the number of echelons and the slowness of promotion, the regime is a gerontocracy : of the twenty men who ruled China in 1972, half were very old men - two nearly ninety, two past eighty, six past or nearing seventy; and in that small group of patriarchs three or four were senile or chronic invalids. Since the regime knows no retirement or age limit for its higher personnel, there is no honorable and decent choice between absolute power and total disgrace, which explains the keenness and energy with which decrepit, disabled, gouty old men cling to their seats on the Politburo. Another cause of sclerosis is the fact that the top seven or eight bureaucratic echelons are the more or less exclusive preserve of those who joined the revolutionary movement some forty years ago. What is called in the political jargon "a cadre of '37" (san-ch'i kan-pu) - someone who joined the party after the beginning of the war in 1937 - has little chance to climb higher than the sixth or seventh level; this hardly encourages the injection of new blood into the system. The rise of younger people like Yao Wen-yuan and Wang Hung-wen remains exceptional and should not mask another significant truth: in 1973, the Tenth Party Congress sanctioned the almost total elimination of young leaders promoted during the Cultural Revolution, completing the cycle that had begun in 1968-69. The cadres serve as transmission belts between the summit and the base. They have some privileges, of course, but before reproaching them for that, we should consider how unrewarding and dangerous their job is. They are perpetually torn between the leaders and the led. Directives from on high are deliberately ambiguous; in case of failure, the leaders thus have a fall-back position, while those who applied the policy are stranded and unprotected, and can be sacrificed to the rancor of the masses. It is unfair to criticize Maoist bureaucrats for their slowness and inertia: most often nonaction is their best chance of survival. How could they go forward? They must set their compasses on the Thought of Mao Tse-tung - a very mobile, shifting, and slippery pole. Judge for yourself. One should avoid leftism, neither should one fall into rightism (sometimes, as in the case of Lin Piao, leftism is a rightist error), but between those two pitfalls, the cadre will seek in vain for a "middle way" - this being a feudal Confucian notion. Since the right, the left, and the center are equally fraught with danger, the cadre may be tempted to shut his eyes and follow the successive and contradictory instructions of the Great Leader without a murmur. Another error! "To obey blindly" is a poisonous error invented by Liu Shao-ch'i in pursuit of his unmentionable project of capitalist restoration. In such a situation, the downcast and fearful cadre has his courage renewed by daring new watchwords: one must dare "to swim against the current"; "not be afraid of being in the minority'"; "not be afraid of disgrace, even of exclusion from the party." However, before jumping in the water to swim against the current, the cadre cannot but recall that "the current of history is irresistible" and the Communist Party that embodies it is "grandiose and infallible." His resolve weakens; then he is reminded that "rebellion is legitimate." Ready to act now, he gets another cold shower: "in all circumstances, strict Party discipline should be maintained." Whom to believe? "Truth is quite often the position of the minority." This helps, but its value is reduced by another basic axiom: "the minority must always submit to the decisions of the majority." Should decisions be taken by a vote? Not at all, since "respect for majority voting is a bourgeois superstition." Faced with all this, the cadre who lacks a philosophical turn of mind may feel giddy and be tempted to leave these thorny theoretical problems and tackle more concrete tasks. But these are also booby-trapped. If he wants to interest himself in culture and literature, how can he reconcile "the need to produce more interesting and living works" with "an active repudiation of the vulgar and bourgeois idea of interesting works propagated by Liu Shao-ch'i-type crooks"? If he is a soldier, he must "avoid giving priority to professional competence" - a rightist error inherited from Liu Shao-ch'i and Peng Teh-huai - while guarding himself against the "metaphysical prejudice according to which politics are more important than professional competence," a poisonous theory coming from Lin Piao, in which is manifested the true nature of an apparently-leftist-deviation-which-is-in-fact-rightist-sabotage. Economics, agriculture, and industry are still more dangerously mined fields: one must keep the distinctions clear between phenomena that are identical except in the ideologues' minds. How can one see the difference between "material incentives," the base weapon used by Liu Shao-ch'i to restore capitalism, and "just rewards according to the work done," which is a legitimate and necessary encouragement to the creativity of the masses? This is not of purely academic interest: to tolerate the first is to restore the Liuist policy, to forbid the second could well be a Lin Piaoist sabotage. The People's Daily gives many examples of casuistry to enlighten the minds of the poor confused cadres. Look at this one: in a Production Brigade, the man responsible for cattle obtained extremely good results; thanks to him, the herd increased. The local party branch decided not only to put his name on the honor board but also to give him a sum of money as a reward. Some members of the Brigade now question the decision: is this reward not a"material stimulant" linked to the "primacy of money" advocated by Liu Shao-ch'i? If the words still have their meaning, one would be tempted to say yes; but (in 1972 at least) the official answer of the People's Daily was NO; the decision of the local party branch had been quite correct, since far from being a Liu-type "material incentive," this reward was a correct application of the socialist principle of repartition "to each according to his work"; it was beneficial, and encouraged the "positive eagerness" of the workers. Another riddle: members of a Production Brigade took some hay cut on collective ground to feed their private cattle, and the local party secretary bawled them out. Who is right? Paradoxical answer given by the People's Daily: the Party secretary was wrong, because in his excessive zeal, he was discouraging a secondary activity (private cattle raising) of the peasants at a time when, for economic reasons, the state was fostering local initiative. Now that Lin Piao has joined Liu Shao-ch'i in outer darkness, these two antinomian figures can be combined in a single, marvelously complete and Janus-face monster, which on one side corrupted the workers and peasants by giving them material advantages and on the other stifled any initiative by imposing on them a depressing egalitarianism; changed the army into a corps of professional ruffians on one hand, while on the other, and simultaneously, fostered battalions of philosophers in uniform, ideologues who couldn't shoot straight; encouraged frivolous literary activities while being responsible for the drying up of all artistic and literary talents; and so on. To fight such a polyvalent enemy, you need a lot of agility and, above all, ceaseless vigilance. The People's Daily may well give you the solution to a certain problem, but it also gives the opposite solution to the same problem at a different time. Maoist truth is essentially fluid and changing, to survive, one cannot miss the train, or the turn. Maoist propaganda may be one of the most monotonous, arid, and indigent creations in the world, but for this reason it is followed by millions with burning interest: their careers, their very lives depend on the changing ideological line, which must be read between the lines and whose message may sometimes be found in the most unexpected and out-of-the-way places. A near-bankrupt businessman does not follow the financial news and the market figures less feverishly than a Chinese cadre peruses the guest list at state functions, burials, and Ping-Pong matches held the day before. Political ups and downs are also complicated by patronage, one of the most appalling of the feudal legacies burdening Maoist political mores. Each influential person becomes the center of a clique; he has his henchmen, liegemen, and auxiliaries. As a consequence, a disgrace or purge is not a matter limited to isolated individuals: the elimination of a second-rank figure may be the prelude to or early pretext for a larger movement against his powerful protectors. (Remember, for example, how the fall of Wu Han and Teng Yo led to the fall of P'eng Chen and, ultimately, Liu Shao-ch'i. ) The downfall of a leader, on the other hand, will invariably bring about that of all his near subordinates: one could fill an entire page simply with the names of the military officers who sank in the wake of Lin Piao. It would be a mistake to believe that this bureaucratic phenomenon of hierarchies and privileges is a sickness of old age, the result of sclerosis brought about by twenty years of absolute power. Really to understand Maoism, one should not limit one's study to the post-Liberation period; one should go further back. If one studies the Yenan period, for instance, so often described by lyrical illiterates - I use the word here in its technical sense of "Sinologists unable to read Chinese" - as the fraternal and heroic age of the fighting revolution, one can see all the vices of the system, already - ripe and well deployed. At the time, in fact, a number of militants were struck with despair when they discovered this, for they had joined Yenan hoping to bring a new world to life and had not expected to find there the despotic and bureaucratic vices of the rotten old world they had abandoned. Yenan was isolated and far away, and few of their shouts were heard, but some echoes reached the outside world, and the best example is shown in the Wang Shih-wei affair. I have heard that a comrade wrote an article on "Egalitarianism and the System of Hierarchical Classes," and that subsequently his "superiors" criticized and attacked him in such a way that he has become half mad. I hope it is only a groundless rumor ... but it is not impossible. For my part, though I can't say I have as strong nerves as some others do, I think my health is good enough to prevent me from going mad, and therefore I follow that comrade in speaking after him about "egalitarianism and the system of hierarchical classes." Communism is not synonymous with egalitarianism (in any case we are not now pursuing a Communist revolution): I do not need to write a dissertation on that. And in any case I can affirm it absolutely: there is not one cook here who has the ambition to live on the same footing as his superiors. But the question of hierarchical classes is not so simple. Some deny the existence of hierarchies in Yenan; but their denials are contradicted by reality, because these classes in fact exist. Others say, true, we have a hierarchical system, but it is justified. This second attitude must he looked at more carefully. Those who think that hierarchical classes are justified usually give three kinds of arguments: (1) According to the principle "from each according to his capacities, to each according to his merits," it is normal that those who are burdened with heavier responsibilities should have more favorable treatment. (2) Within the framework of the "three-thirds" system, the government is going to set up a salary system soon, and inevitably those salaries will not be equal. (3) The Soviet Union also has a system of hierarchical classes. There is a lot to be said about these arguments. On the first: we are right now in the middle of the harsh and difficult process of revolution: everyone is physically exhausted and worn out vvith suffering, and many of us have had our health permanent impaired; under these circumstances it seems premature to speak about "advantages" and "pleasures." On the contrary, those who shoulder the heaviest responsibilities should especially vow to share the lot of their subordinates (a national virtue that should be fostered anew!) so as to win their true affection and create an unshakable solidarity. ... About the second argument: a salary system should keep differentials small. Some favored treatment may be given to people who are not from the Party, but Party members should continue to maintain their great tradition of austere struggle, precisely in order to incite many more people to join us and help us in our enterprise. About the third point: may my bluntness be forgiven, but I would simply ask those "ideological guides," who were all too quick to impose their authority, to keep quiet. In the lines above, I have talked a lot about "affection" and "human warmth" - perhaps as a consequence of my "petty-bourgeois sentimentality"? One will see how I am criticized. And one saw, indeed. What followed is all too well known. Some weeks later, in answer to this manifestation of independent criticism, Mao Tse-tung struck all thinking heads the sledgehammer blow of his famous "Talks on Arts and Letters," which anesthetized for good intellectual and cultural life in the "liberated areas" before it extended its fatal influence over the rest of China. Dissident intellectuals were sternly purged, and Wang Shih-wei became a scapegoat. For one thing, his prestige as a revolutionary and a Marxist theoretician aggravated his case; for another, his influence in the party cadre school had been resented for some time by his colleague Ch'en Po-ta, who now saw an undreamed-of chance to get rid of his rival. Wang's friends and intimates were compelled to disown him and denounce his "crimes," and Wang himself had to appear several times in public-accusation meetings. But he behaved so courageously, answered calumnies with such calm and pertinence - the last time, supreme sacrilege, he even dared criticize Stalin directly - that the authorities thought best to try his case behind closed doors. He disappeared from view for two years; in 1944 some journalists coming from Chungking managed, after a lot of trouble, to be allowed to see him. They were introduced to a shy and silent man who told them that he was living perfectly happily. When one of them asked him what his present occupation was, he said modestly that he was making matchboxes. In the spring of 1947, during a Kuomintang offensive, the Communists had to evacuate Yenan in haste. They could not take prisoners with them, but they could not leave such a witness behind either. Wang Shih-wei was shot. 1. An ancient commentary, composed somewhere around the third century B.C., on the Confucian classic the Spring and Autumn Annals, a chronicle of events in the state of Lu from 722 to 481 B.C. 2. It is noteworthy that the Cultural Revolution brought no change in this thirty-class division. This has been confirmed to me several times by different civil servants to whom I put the question in 1972 and 19'3, in Peking and in the provinces. The system, adopted in 1956, is described in Yi-chiu-wu-liu nien chung-yang ts'ai-cheng fa-kuei hui-pien ( Peking, 1957 ), pp. 226117. Sec also on this subject F. Teiwes, "Before and after the Cultural Revolution," a report to the Symposium on Contemporary China, Australian National University, Canberra, November 1973. 3. Thus named after a directive issued on 7 May 1966 by Chairman Mao (actually it was a letter addressed to Lin Piao, but since Lin's downfall, this historical context is conveniently forgotten), underlining the necessity for the cadres to participate in manual labor together with workers and peasants. 4. During the Cultural Revolution, the May seventh school had a punitive-corrective character: disgraced bureaucrats were sent there. Later on, however, a routine was set, and they became a kind of institution providing all bureaucrats in turn with regular opportunities to have short study sessions in the country. 5. She would be precisely what she has become now that the Great Leader is dead and unable to protect her anymore: a non-person. 6. Mao Yuan-hsin, born in the early 1940s, was given a home in Yenan by Mao Tse-tung and Chiang Ch'ing after the death of his father, Mao Tse-min, who was executed in 1943. Since Mao's eldest son, An-ying, died during the Korean War, and his second, An-ch'ing, is mentally ill and confined in an institution in Talien, Man Yuan-hsin was the Chairman's nearest male heir. 7. A quite temporary rise: both were purged in 1976, shortly after the death of Mao, in a move that swept away all the last exponents of orthodox Maoism. 8. Though in this field the prize may well be won by the North Koreans. 9. Wang Shih-wei had been to the Soviet Union and knew only too well what the Russian example was worth. 10. Wang Shih-wei, "Yeh pai-ho hua IV" ("Wild Lilies," Part IV), in Chich-fang jih-pao (Liberation Daily), Yenan, 22 March 1942. 11. But after all, is it so well known? The whole affair had an enormous effect all over China, but in the West the filters through which information reaches the public at large intercepted it carefully. (One example: I recently had the opportunity to hear a talk given by the illustrious Professor Chesneaux, a most fashionable lecturer for Ataoist socialites. He was speaking on the topic "Yenan, the Brotherly Society"(!). Not only did he make no mention of the W'ang Shih-wei affair but when one listener ventured to raise the question, there was, for a brief moment, a painful silence. Professor Chesneaux - who was preparing a book on Yenan! - had never heard Wang Shih-wei's name, and thus conveniently chose to drop the whole matter.) Still, a good summary of the Wang Shih-wei affair is given in Merle Goldman, Literary Dissent in Communist China (Cambridge, Mass., 1967). See also: C. T. Hsia: A History of Chinese Modern Fiction (New Haven & London, 1961 ). On Wang's execution, see Chung-kung yenchiu (Research on Chinese Communism), July 1972, p. 67. The ideological parti-pris of these last two sources does not invalidate their generally rigorous and sound historical documentation. Their accuracy was confirmed bv Mao Tse-tung himself: in a speech dating from 1962, but made available to us only recently, Mao flatly acknowledged that Wang had been executed and tried hypocritically to wash his hands of this crime by arguing that (1) the security organs acted on their own initiative, and anyway (2) Wang was a "secret agent working for the Kuomintang"! See Stuart Schram, ed., Mao Tse-tung Unrehearsed - Talks and Letters 1956-1971 (London & New York, 1974) pp. 184-85.